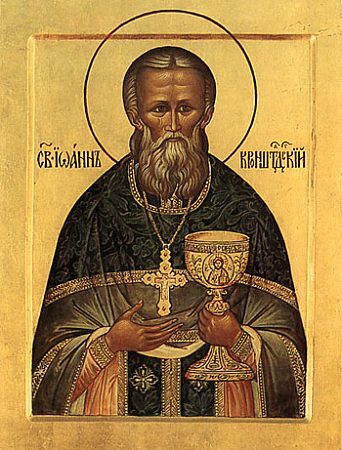 With the blessing of His Grace, Bishop Peter of Cleveland, Administrator of the Diocese of Chicago & Mid-America and President of the Diocesan Pastoral School, the Pastoral School will henceforth be named in honor of St. John of Kronstadt. As is well know, St. John struggled greatly with his studies as a youth, but after a miraculous divine intervention, became an excellent student with high marks in both seminary and academy. 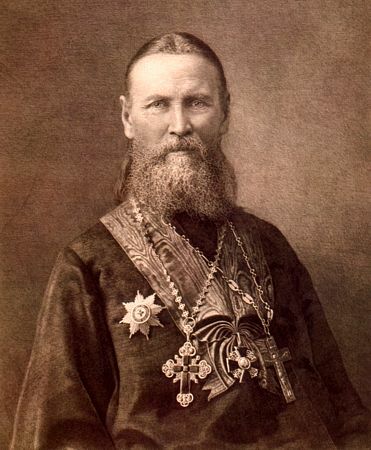 The Pastoral School will adopt as its patronal feast day December 20/January 2 – the repose of the great Russian Pastor and favorite of God John Sergiev, the all-Russian Pastor of the late 19th century. God willing, this date will be prayerfully celebrated annually with a Divine Liturgy at the Diocesan Cathedral in Des Plaines, IL. We ask all people of good will towards the Pastoral School to entreat the prayers of St. John before the Throne of the Lord for the students and faculty of the school, and for the school's continued mission to prepare clergymen and lay workers for the Holy Church.